From strategic planning to community input to project planning, Georgia Downtowns services are tailored to meet our client community's needs. Our work is based on the new Main Street Refresh model that emphasizes transformation strategies and the National Main Street Four Point Approach®. As your downtown partner, we collaborate with you to gather community and leadership input, analyze data, identify needs, design effective action strategies, and produce transformational outcomes. Visiting with our downtown friends. Georgia Downtowns works with governments and their agencies to revitalize downtowns. A downtown success story, and Joel helped! Click to watch a 4-minute video about a Great American Main Street.in Georgia. 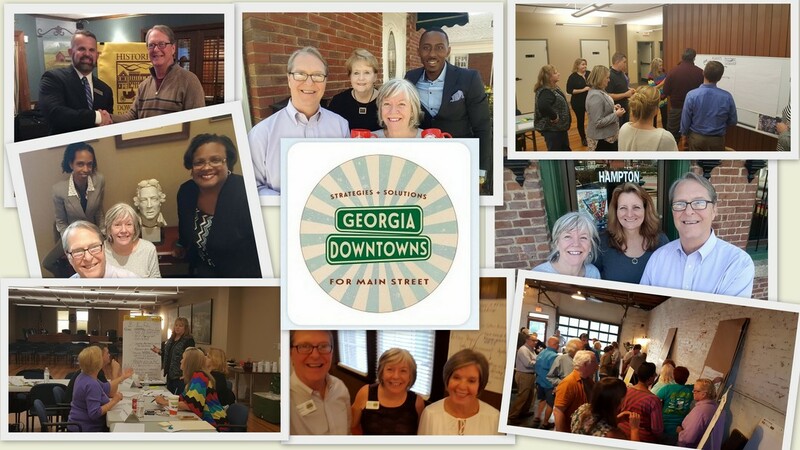 ​Our Georgia Downtowns partners and colleagues.